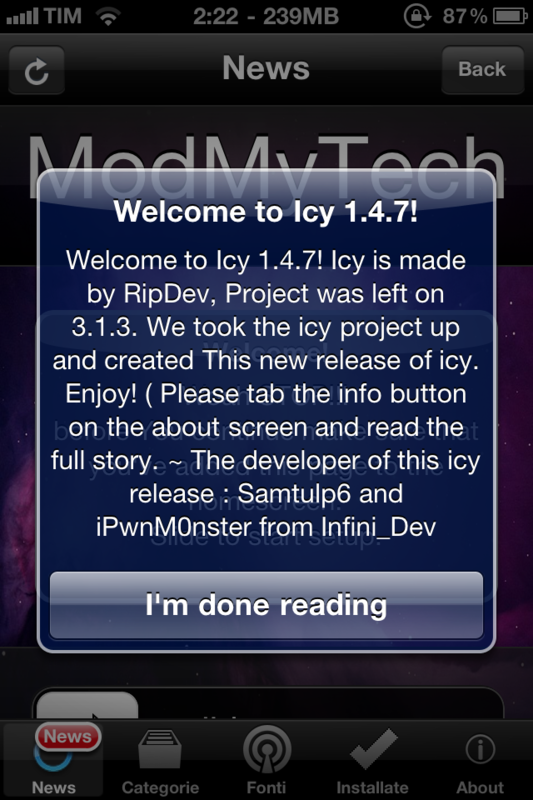 If you have been jailbreaking for a while you might remember an app installer called “icy” on the 3.x firmwares. It was a nice app, but it never went that far. Currently it is being upgraded to work with all the newest software and the beta can be downloaded now. It works a lot like cydia except it is faster and has a nicer look, the downside is that it isn’t mainstream and you can’t buy cydia store apps from it. On your jailbroken device go to Cydia > Manage > Sources > Edit > Add > Type “http://repo.ispazio.net” > Hit Add, Then search “Icy” and install it. Personally I have never used Icy. Ill test it out a bit. I used to like Rock because it loaded faster but Cydia bought them out. Update: I like ICY a lot compared to Cydia. Their is actually a completion sound that dings when everything is done. What i dislike is having to add the sources back but its not to much of a hassle.